This trilobite coming from the nearly half billion year old Middle Ordovician Asery Level deposits of the Wolchow River region near Saint Petersburg, Russia, this trilobite looks more like an alien spacecraft than anything that once roamed the ancient seas. Lonchodomas volborthi is a member of the Trinucleid family of trilobite order Asaphida. 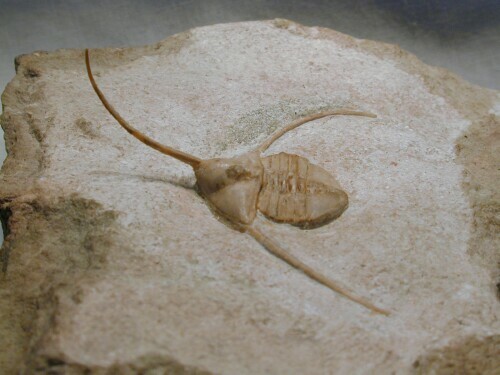 The genus was previously called Ampyx. (now called Lonchodomas) volborthi. 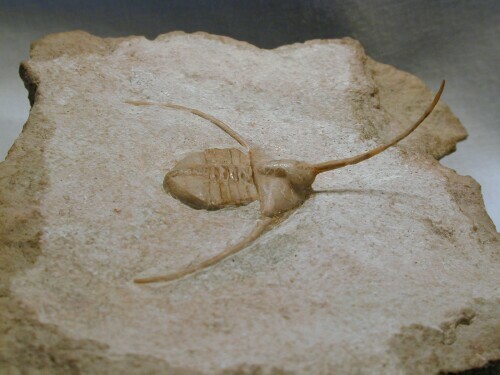 The trilobite itself is 40 mm long (measured in straight projection from the tip of the upturned 17 mm long rostral spine to the end of the pygidium) and 31 mm wide at the amazing genal spines. Very few of these are found each year. 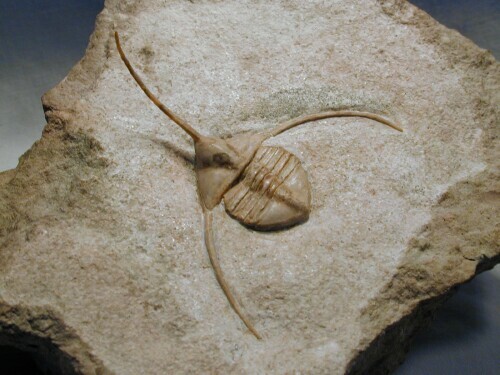 One theory of the projected spines is that they served to keep the trilobite at the surface of a mucky seafloor, similar to snowshoes. 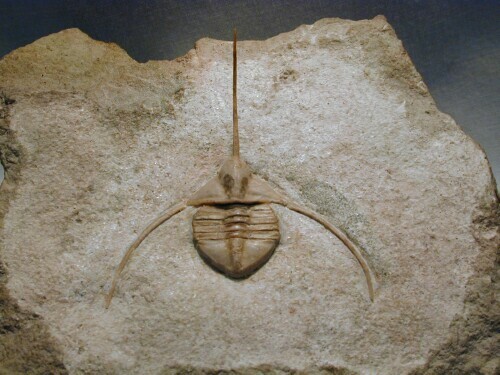 Another is that they served as stabilizers as the trilobite swam in the water column. Might they have also served a purpose for defense from predators?